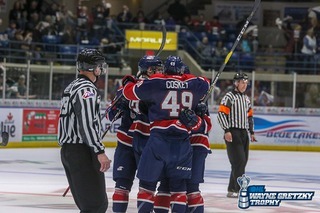 Sudbury, Ontario – Unable to hold on to a one-goal lead Friday in the final minutes of the third period at the Sudbury Community Arena, the Saginaw Spirit fell short in a 3-2 shootout loss to the Sudbury Wolves. The loss in the second of a three-game Northern Ontario road swing puts the Sprit at 3-1-1-2 this season against Eastern Conference opponents, which includes Thursday’s 4-3 overtime thriller over the North Bay Battalion, the team’s first Thanksgiving Day win since relocating to Saginaw in 2002. 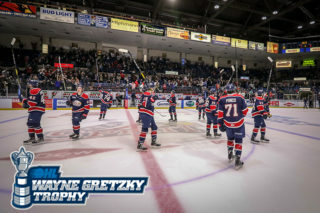 With a 3-1-0-1 record over the last five seasons in Sudbury, and their first loss under recently promoted head coach Chris Lazary, the Spirit remain in second place in the West Division and fifth in the Western Conference standings at 27 points. 2018 OHL Priority Selection second rounder Tristan Lennox earned his first career OHL start in net for the Spirit, just two weeks after the goaltender played in three games and recorded 89 saves for Team Canada White at the 2018 World Under-17 Hockey Challenge. Lennox previously made two relief appearances this season with his last coming on October 17 at Sault Ste. Marie. Currently with the Brantford 99ers of the Ontario Junior Hockey League, Lennox finished with 24 saves for a season-high to improve his goals against average (GAA) to 2.65 and a save percentage (SAV%) of .884. The Cambridge, Ontario native allowed the game’s opening goal with 3:03 into the opening frame as Wolves second-year forward Blake Murray scored his ninth goal of the year on a breakaway. Murray is third on the team with 15 points. Saginaw responded less than a minute later as Sudbury native and 2018 Minnesota Wild fifth-round draft pick Damien Giroux surpassed double-digit goals at 3:59 to tie with second-year forward Nicholas Porco and 2018 Priority Selection first-round pick Cole Perfetti for a team-high 10 goals. Giroux, who holds the highest plus-minus rating among all Spirit players at +7, secured the game-tying goal late in the third period Thursday and has earned one point in five of the last seven games. New York Islanders prospect Blade Jenkins and forward Jake Goldowski were credited with the assist. Jenkins has assisted on three goals in the last four games while Goldowski earned third-star honors for his goal in Sunday’s loss to the Windsor Spitfires. Despite going empty-handed on two power play opportunities in the second period, Saginaw killed two penalties for its season total to stand at 62. Allowing just 14 goals for an 83.7 percent success rate, the Spirit rank seventh overall in the league on man-down situations. Returning to the lineup after missing the previous two games was Dexter, Michigan native D.J. Busdeker, who’s fourth on the Spirit with 55 shots on goal. Shots on goal through 40 minutes favored Saginaw, 17-14, including nine recorded in the first frame. 41:36 of scoreless action was ended by Perfetti, whose 15 points through 19 games ranks fourth among all OHL rookies this season, for the 2-1 Spirit lead. The go-ahead goal 5:35 into the third period was Perfetti’s third point since returning to the bench after joining Lennox on Team Canada White at the U-17 Hockey Challenge. 17-year-old defenseman Mason Millman has enjoyed a five-game stretch in which he’s recorded five assists for 10 total on the season. Millman and veteran forward Cole Coskey would set up the Perfetti one-timer on Ukko-Pekka Luukkonen. The Buffalo Sabres goaltending prospect received second-star honors with 21 saves. Coskey, who produced his first multi-assist outing on Thursday, has surpassed overage forward Albert Michnac with a team-high 24 points on nine goals and 15 assists. 2018 OHL Priority Selection first overall pick Quinton Byfield notched the game-tying goal for Sudbury with 1:08 remaining in regulation. Byfield’s eighth of the season would bounce off a Spirit defender to force overtime for the second straight game for Saginaw. 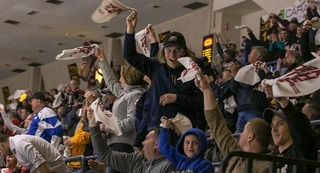 After a scoreless five minutes, Saginaw secured the one point in its second loss decided by a shootout this season. Lennox made three consecutive saves before Byfield scored the game-winner in the fourth round. Coskey, Perfetti, Jenkins and Detroit Red Wings prospect Brady Gilmour all had their attempts denied. 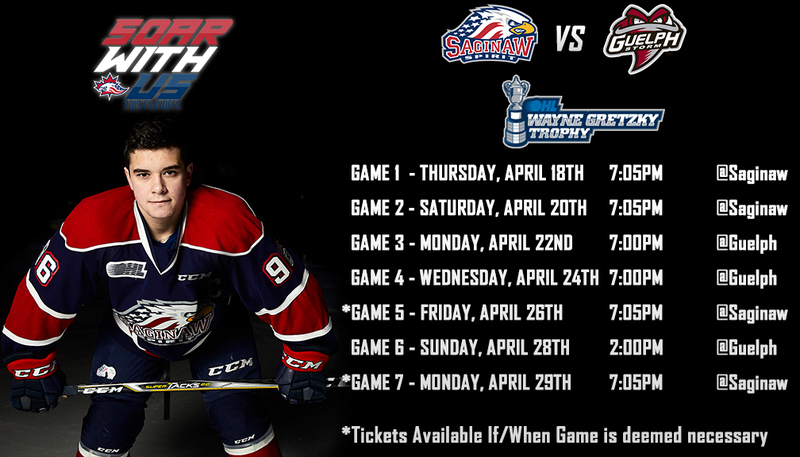 The Spirit will head to Owen Sound this Sunday, November 25, to take on the Attack in the final of a three-game road trip. 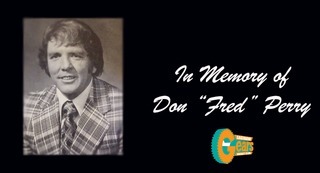 Puck drop is at 2:00 p.m. as Joey Battaino and Dennis Desrosiers will have the call on FM Talk and Sports 100.5 and fmtalk1005.com. 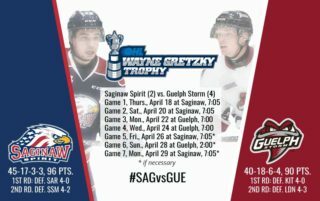 Saginaw returns home Thursday, November 29, hosting West Division rival Sarnia Sting at The Dow Event Center with a 7:05 p.m. puck drop. Presented by Reder Landscaping, tickets for students and military are discounted at $5.